St. Petersburg, Russia based MSCC Bronka, a multipurpose port Bronka (part of Big Port St. Petersburg) has developed a project of a southern railway-yard for redirection of dry bulk cargo to Russia. 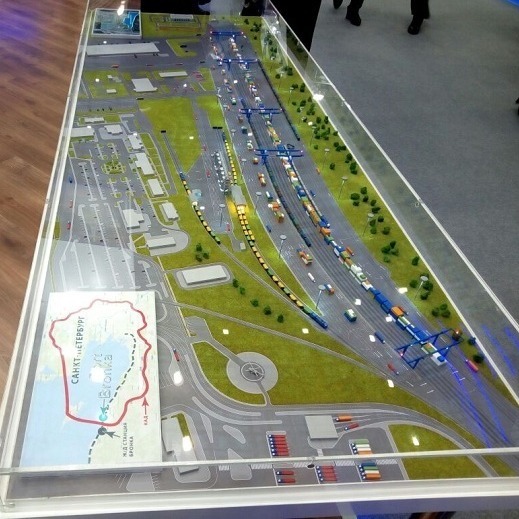 IAA PortNews correspondent says the project has been presented at the Transport Week 2017 in Moscow. The project complies with the strategic task of Russia to shift the cargo flows from the ports of the neighboring countries to domestic terminals. It provides for transshipment of containers with mineral fertilizers, cast iron and grain onto Panamax ships of 50,000-70,000 t in capacity through application of КОТТА technology (innovative dry bulk container with a bottom discharge function). With its depth of 14.4 m Port Bronka is able to handle dry bulk carriers of that capacity. The construction of the railway-yard is to begin in 2019. That will let take over 5-8 mln t of cargo from the ports of the Baltic countries, which is about 410,000-660,000 TEUs per year. Multipurpose Sea Cargo Complex "Bronka" (MSCC Bronka) is being built on the southern shore of the Gulf of Finland, where the Dam and the Ring Road border the territory of Lomonosov. The Bronka complex will comprise three dedicated facilities: a container terminal encompassing 107 hectares, the Ro-Ro terminal of 57 ha and a logistics center of 42 ha. Container terminal will have a 1,220 m-long quay wall (including 5 berths). The length of Ro-Ro terminal's dock line will be 710 meters (3 berths). After completion of Bronka Phase 1 its capacity will reach 1.45 million TEUs and 260,000 units of Ro-Ro cargoes. In future the MSCC Bronka expansion will help increase the facility's container throughput to 1.9 million TEUs. Upon completion of the port's construction and dredging to the design mark of 14.4 meters in 2015 MSCC Bronka will be able to accommodate Post-Panamax containerships and the ferries of Finnstar class. Once completed Bronka project will help generate 2,300 jobs at its marine terminals alone. The first liner vessel called to Bronka terminal on September 8, 2015.